Day 5: Transfer to Santiago and fly to Calama. Astronomy tour in the evening. Cross the border into Bolivia and spend a few nights exploring Salar de Uyuni - the largest salt flat in the world! Take South America's most iconic trek and hike the Inca Trail to Machu Picchu, in Peru. Let us introduce you to the classic city we know and love on this walking tour exploring the city’s most popular sights along with some of our personal favourites. 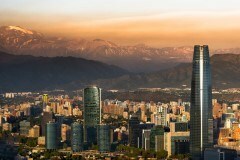 Walking through the city streets, Chile´s rich cultural heritage comes to life as we visit the iconic symbols of the city, including La Plaza de Armas (the main square), La Moneda (the government palace), and the Santiago Metropolitan Cathedral. We continue to the bohemian area of Bellavista and climb the San Cristobal hill for a panoramic view of Santiago with the Andes Mountains in the background. Here we will have the chance to climb this hill up to explore the surroundings. After this fulfilling experience, we will call it a day and return to your hotel. After breakfast, we will take the coastal road toward the Elqui Valley and stop by the beautiful town of Zapallar. This coastal town is a distant 169km from Santiago, where large and luxurious mansions rise up on the hills. We will travel a little further north to visit the Papudo inlet with its beautiful beaches before transferring to your hotel in Elqui Valley. Dinner this evening will be served at the lodge. Later, we will travel deeper into the valley, stopping at the tomb of Gabriela Mistral in the town of Montegrande and where her old school is located, which today has a small museum.Dinner this evening will be served at the lodge. After a free morning get ready for a short one-hour hike to your unique eclipse-viewing site at 1092m above sea level. Although only 3.5km, the hike involves a steep section and climbs 350m in altitude. A reasonable level of fitness is required. On arrival at your exclusive viewing site, you will have a packed lunch and drinks provided before the main event starts at 3.20pm. 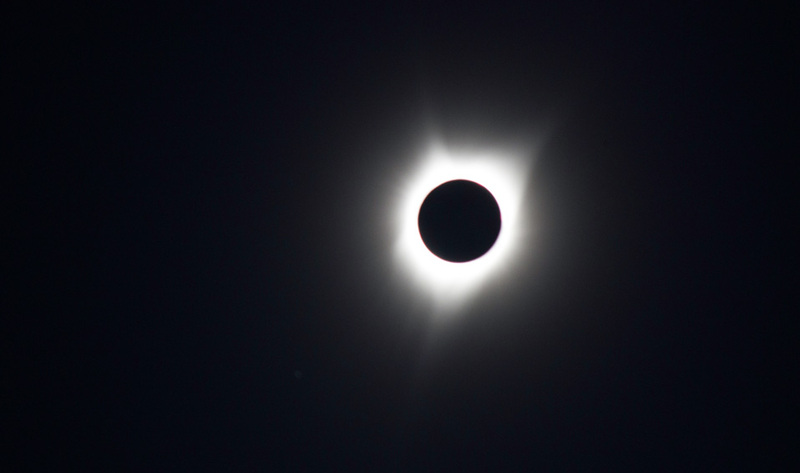 Enjoy a cocktail while standing in the moons shadow and observing the total Solar Eclipse. Afterwards, return to the lodge for a barbecue. 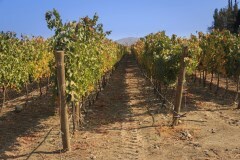 After breakfast you will be transferred back to Santiago for your flight to Calama. 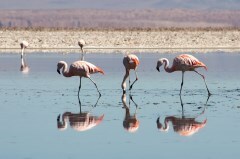 On arrival you will be met by our representative and transferred to your hotel in San Pedro de Atacama. This colourful village is located 2440m above sea level and in the middle of a green oasis. This evening you will take part in an Atacama Astronomic Tour. San Pedro de Atacama, with its high altitude and clear skies, is famous for its stargazing. The tour includes an astronomy talk and naked eye observation before using the telescopes. After breakfast you will explore the town of San Pedro de Atacama – the center of a Paleolithic civilization that built impressive rock fortresses on the nearby mountains encircling the green valley. From there, you will take brief drive to reach the 3000 year old pre-Columbian village of Tulor. The archaeological remains that can be viewed here constitute the oldest evidence of human settlement of the valley. After your visit, continue the morning tour to the Pukara de Quitor a fortress, which has seen many battles. After lunch, your guide will show you the village of Tocanao where white volcanic stone sculptures are made by locals. Your final stop of the day will be the Atacama Salt Lake; an inland sea formed millions of years ago and an impressive sight dominated by rock formations and crystalised salt. Before dawn break, you will depart from San Pedro and head north to the famous El Tatio Geysers; a geothermal field flanked by soaring peaks. 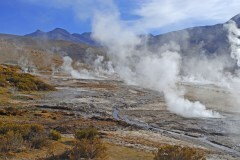 El Tatio is situated at 4300m above sea level on the Altiplano. It is the highest geothermal field in the world and boasts spectacular scenery. Make sure to bring warm clothes as temperatures at this altitude are considerably low this early in the morning. At dawn , you will observe powerful spurts of steam that shoot out from various geyser blowholes and steaming ponds that are encrusted with brilliant salt crystals reflecting the metal-blue sky. After this nice visit to El Tatio you will drive to the village of Machuca known as the resting place for llama caravans that traveled the Inca Highway. This afternoon you will visit the Death and Moon valley, boasting incredible sand and stone formations. Later enjoy watching the fading light over the vast red, white and brown landscapes as the sun sets. After breakfast, our representative will transfer you to the airport to board your departure flight. Dr. Susan Stolovy is an astrophysicist and professor as well as a total solar eclipse enthusiast. She is a Professor of Physics and Astronomy at El Camino College in Torrance, California, where she also gives frequent planetarium shows to the public. She worked as a Staff Scientist for NASA's Spitzer Space Telescope at CalTech for 10 years before becoming a full-time educator. Susan has a Ph.D. in Physics from Cornell University and a Bachelor's in Science from the Johns Hopkins University. She has conducted research (mainly studying the Galactic Center) from telescopes around the world as well as from the Spitzer and Hubble Space Telescopes. Susan observed her first total solar eclipse in 1998, which was especially eventful since she met her husband Hal on the same trip! Susan and Hal have now seen 5 total eclipses together and look forward to seeing another one!